Multi-ethnic U.K. trio Sugababes jumped aboard the teen pop bandwagon prior to the new millennium and exuded their own sassy demeanor without the frivolity of most mainstream acts. 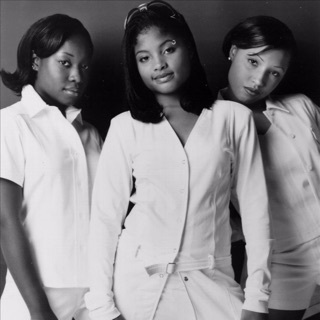 Siobhan Donaghy, Keisha Buchanan, and Mutya Buena were barely in their teens when they formed in 1998, sharing a liking of garage, hip-hop, and dance music. Initially, Sugababes were three friends who enjoyed singing along to the radio. Buchanan and Buena had been pals since primary school, and a chance meeting with Donaghy molded a fierce bond. A career in music wasn't intentional, yet a deal with London surfaced in 2000. Studio time with producer Cameron McVey (All Saints, Pete Tong) led to One Touch, which was released during the summer of 2001 and featured a dozen tracks co-written by the girls, including the smash hit "Overload." Sales didn't meet London's expectations. The group was subsequently dropped.